... are so tasty especially the haddock.Best fish and chips in IpswichBest fish and chips in ipswich. On my first visit, the fish and chips were good. This time it was poor. Everything was very greasy and the fish was unevenly coated, with some patches that were almost bare and others that had clumps of overcooked batter. me and my partner came here for our fish and chips. as its the best in Ipswich great service and great prices.and always cooked to perfection. Best fish and chips in ipswich. Every time I’ve been the staff are friendly and welcoming. The fish and chips are so tasty especially the haddock. For the past five months this has been the best option for me and my girlfriend when eating out on a tight budget. 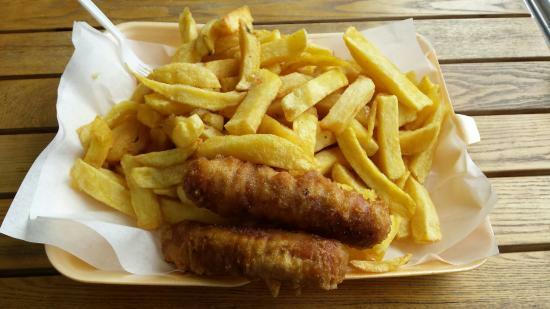 We have tried other places in the mean time ,but this remains the best fish and chips in town. Great work! 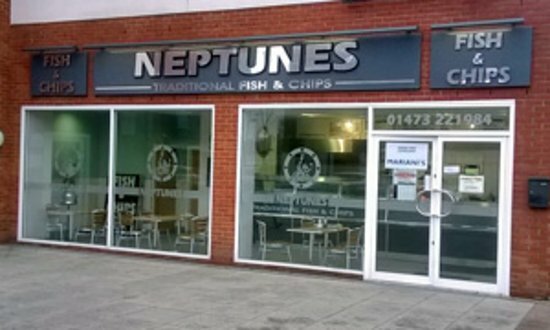 Get quick answers from Neptunes Fish & Chips staff and past visitors.